EV Central – Drive to EV Central for EV and Hybrid Vehicle News! Xyntéo’s head of innovation, Rick Wheatley, blogs on the importance of seeing the future potential in today’s innovative technology. Tesla Motors, the mercurial Silicon Valley electric car company, recently revealed that it exceeded 2013 Q4 revenue guidance considerably. Despite an array of teething issues, mostly concerning charging, the car and the company seem unstoppable. Success like this seems to amplify the volume of the, ‘How environmentally friendly is the electric vehicle (EV)?’ debate. The phenomenal performance of Tesla is arguably predicated on ‘first principles’ thinking; a technique promoted by entrepreneur Elon Musk – the company’s founder. The idea is that you start out with the fundamentals you know to be true and work up from there, in effect creating an environment that encourages and enables serial innovation. In the case of the motor trade, and perhaps mobility in general, a good first principle to start with is: burning stuff is bad. Every time we burn a fuel to generate energy there are negative side effects. And the more we burn, the worse the side effects. The uncomfortable fact is that every gasoline or diesel vehicle produced today represents a long-term commitment to burning fossil fuels throughout the lifetime of that vehicle. Every one of these cars exacerbates the problem and locks us into undesirable side-effects. Given what we know about the effects of vehicle emissions on the climate and public health, it’s clear we need to find a new way to move around – and EVs represent a clear step forward. But that doesn’t stop people criticising them. One of the main arguments against EVs is that in many countries the electricity is produced by burning coal. While it’s true that this makes the cars running in these countries less clean, the fact is that EVs can immediately become more environmentally friendly on the day a change is made to the fuel used to generate the electricity. An EV can improve with the evolution of the low-carbon energy mix. A fossil vehicle cannot. Another common argument is that the production and disposal of EV batteries isn’t environmentally efficient; a point that, while true today, must be viewed from a longer-term perspective. This is a ‘don’t throw out the baby with the bath water’ situation – if we don’t invest in and scale the fossil-free technologies we’re developing today, like EVs, the potentially ground-breaking technologies of tomorrow become less and less likely. The imperfect solutions of today are stepping-stones toward the better solutions of tomorrow, so we need to encourage and invest in today’s innovators. It is true that there is a willingness to cling to business-as-usual – and use innovation to attempt to negate seemingly no-brainer first principles like ‘burning stuff is bad’. Some of us have lived in the hope that our command of technology might produce solutions that enable us to carry on as we are. Innovations like carbon capture and storage, digital particulate filters and ultra-efficient, direct-injection, internal-combustion engines come to mind. But each of these solutions have in fact created new problems for us and allowed us, for a time, to fool ourselves into believing that we wouldn’t need to change. Our ‘burning stuff is bad’ first principle, therefore, seems more and more inescapable as time passes – and innovation that uses it as its seed becomes ever-more important. It’s time to resist the comfortable pull of the past, stop wringing our hands and enjoy victories like Tesla’s in the pursuit of more sustainable transportation. We need to embrace innovations that confront resource scarcity and disrupt business as usual. Until we clear our desks of the clutter of old ideas and tired norms, we won’t be able to reinvent growth in the way that we need to – truly solving the problems that threaten our shared and prosperous future. The beauty of the EV is in its future. Let’s not knock it down today. This article, Electric Vehicles: Their Beauty Is In Their Future, is syndicated from Clean Technica and is posted here with permission. At first, I was sceptical as to whether electric vehicles were going to even make it to the consumer car market. 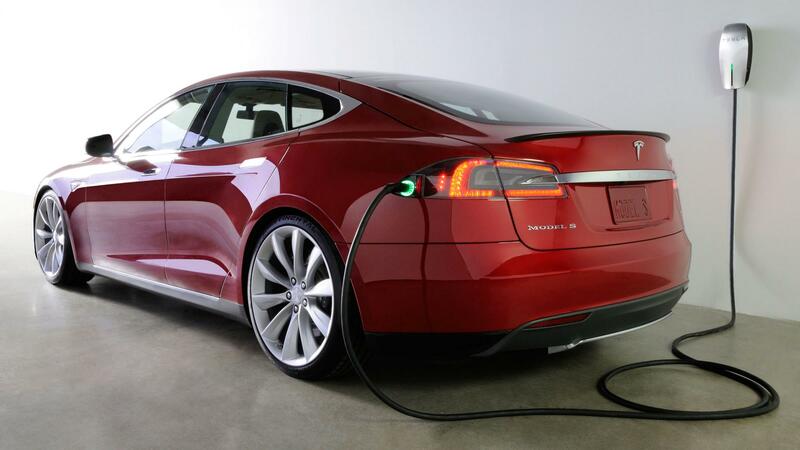 Now, electric cars are the future of the automotive world. Hopefully electric and hybrid cars will be standard sooner rather than later, the amount of the world’s oil and the ozone layer that could be saved would be huge.